This is the second way I styled my maxi dress. 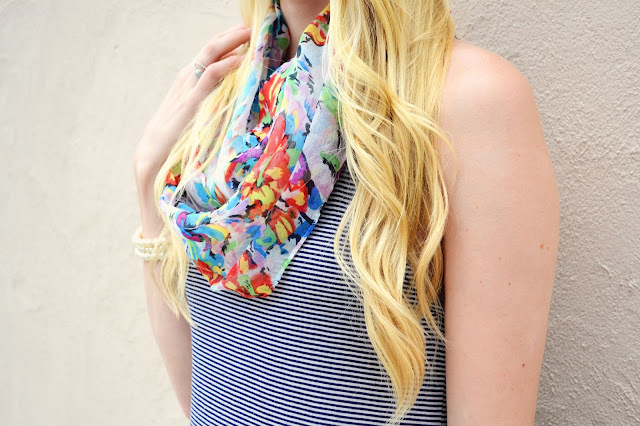 I swapped out my chambray for a colorful floral scarf. Scarfs are not just for fall and winter and sometimes we forget that. (I do!) I tied this one like an infinity scarf, but with the countless ways to tie a scarf you can easily turn this into multiple looks. This makes for a great weekend look for shopping or going to a BBQ. Hope you all have a wonderful Father's Day weekend! 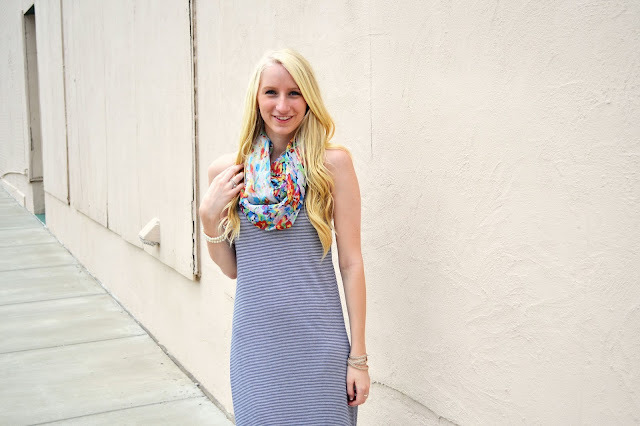 Love maxi dresses! You look great! Love the scarf and dress, what a great combination! Love the scard with the maxi dress, this is perfect for me as I am alwasy just a little bit cold. 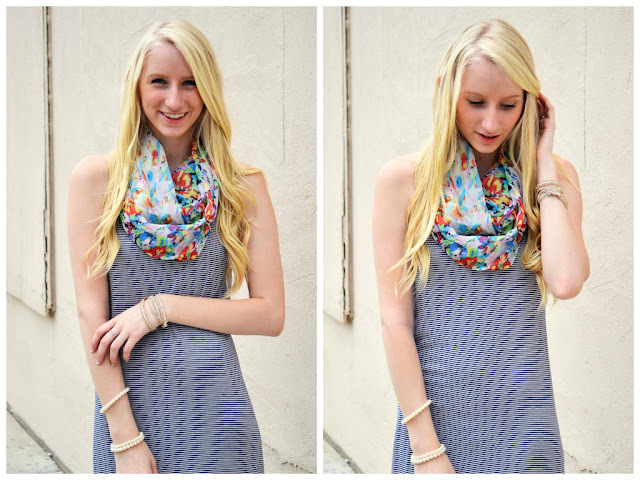 Beautiful outfit, I love that dress paired with that scarf! P.S. I'm giving away EIGHT sponsors spots today and I would love for you to come enter! 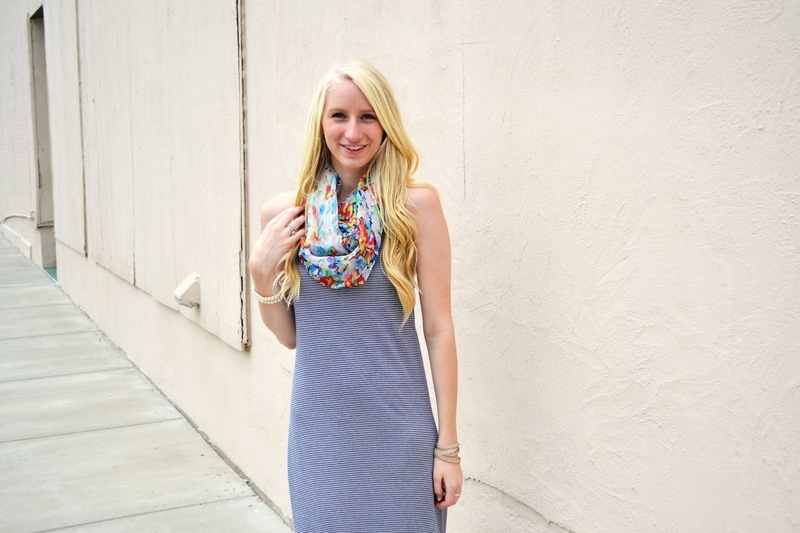 ah, i love the maxi dress paired with this scarf! seriously, perfect look!